The play looks at how we perceive death, grief and faith. 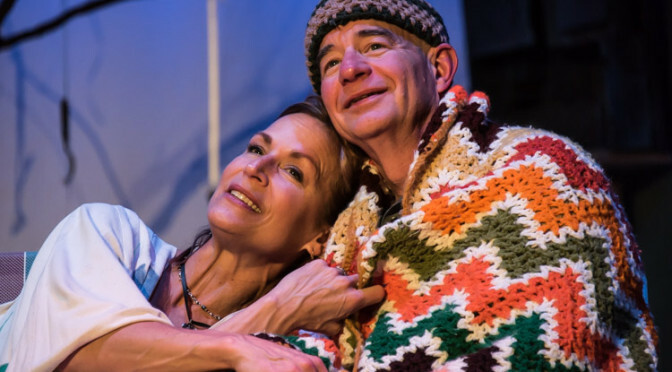 At its heart, the play is about finding comfort and hope in the face of great loss. It is a story told with humor, compassion, pain and, above all, love. In the process of becoming Neil, I have seen that the quality of life includes grief and that grief is what makes life dear. I put myself in the shoes of a dying man, which is, of course, where I had been all along. What is Neil’s ethical will? The concept has Biblical roots, but an ethical will may generally be described as an expression of values to be passed down from one generation to the next. Scattered through The Quality of Life, like the treasures they found in the ashes of their home, are clues that reveal Neil’s set of values and that shape his ethical will. Neil understands the validity of religious beliefs, but he does not believe in damnation. He does not need faith-based rules or dogma to show him what’s right and what’s wrong. It is enough for Neil to know his own heart and to know what is true. Common decency makes kindness a virtue. Neil believes that it is important to be kind and to be thankful for the kindness of others. He believes that he has a responsibility to try to set things right whenever he finds that he has wronged another with an unkind word. Your eyes are kind and your heart is generous. You have been through an unspeakable horror in your life, yet still you see the beauty of a circling hawk and the promise contained in an avocado seed. I celebrate that joy with you, for there is beauty and hopefulness in life. You only have to look for it. People move on, and I wish I knew how to take away the ache. Take care of yourself. Neil is interested in other points of view. Though he may disagree, he is respectful of the beliefs of others. He pays attention to how his words and actions may affect other people. He is always seeking to find common truth. We haven’t always seen eye-to-eye, but I like hearing from the other side! I admire your strong faith and your strong heart. I know that you are not made of stone. In the end, you and I are not so different. Everywhere you look, there is heartbreak, and people move on. But you build things. You hammer in the nails, and you fill the bird feeder. You reach out your hand. I have faith that you will work it out. Life is too precious. Neil and Jeanette toast to having “no fear” of death. His approaching death is not awful, Neil says. “We all have to die. Presidents do it, garbage men do it, lawyers and poets and certified public accountants do it.” He has chosen to end his journey, and he is thankful that he gets to design his own end and that he will die gently with his beloved Jeanette by his side. He wants to “cherish his very last breath” and sees this as “nothing but a privilege and a gift.” He says that he is not afraid of death, and yet he recognizes in himself the “terror and rage that normal people feel.” Life does not let you cheat grief. Still, Neil loves life, and he refuses to let death make him morbid or morose. He allows himself to be playful, and at times, his personality merges with the archetypal trickster. In the face of the loss of his own life, leaving everyone and everything he has ever known, Neil finds comfort in Jeanette with every beat of her heart. It is the love between them that he values more than anything else. I have loved you from that moment when, standing on a boulder in Mexico, I looked down at you and I saw your smile and our eyes met. Your spirit of wild unbounded joy has kept me going through all the years. And now, I don’t want to leave you, but people move on. Though my heart breaks as we share our last goodbye, my mind finds peace in a heartbeat. Please know that this less than perfect man loved you. No fear! Unlike Neil, I do not have cancer. I am not confronted by a terminal disease with no hope of cure. I have not been put in the position of having to make decisions about the end of my journey, but I know that there will be an end. There is wisdom in Neil’s ethical will that resonates in me like a wind chime and that merges in my soul, in my “star stuff,” because I have become Neil. 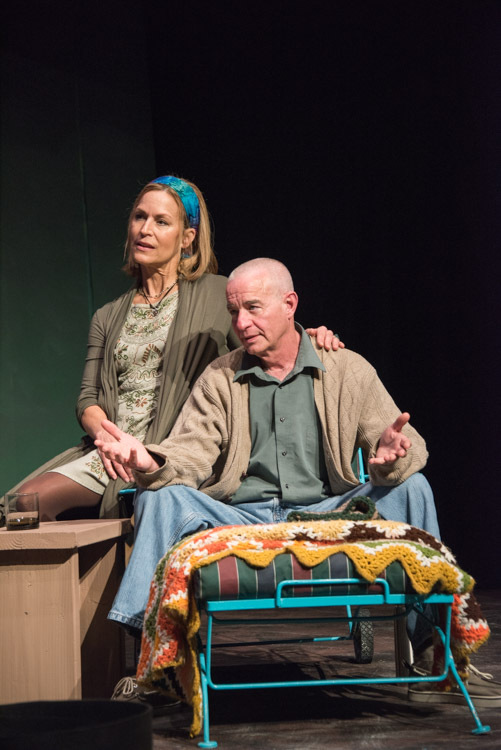 We saw you in this beautifully-written, poignant play about life, death and grief. The story has stayed with us, and spurred numerous conversations about the approaching end of our lives. It was interesting to watch, knowing it was you playing the part of Neil, while at the same time, experiencing not you, but Neil. Your closing statement in this piece about Neil’s wisdom resonating in you “like a wind chime and that merges in (your) soul” explains it all to me … you did become Neil. Beautifully. Much gratitude for sharing the experience, and the inner thoughts on it. Thank you for your comments, and thank you for coming to see the play. For our audiences as well as for the four of us in the cast it was an emotional ride, but an uplifting one. We have all been changed. This is a beautiful way to say goodbye to Neil and to the time we all got to spend together telling this story. It was a honor to watch you becoming Neil. Thank you, Carol. And thank you for being a fantastic director! It was a pleasure to work with you. I do not know if I will ever be able to “say goodbye” to Neil. I will enjoy having him with me. Thank you for helping me to find him.